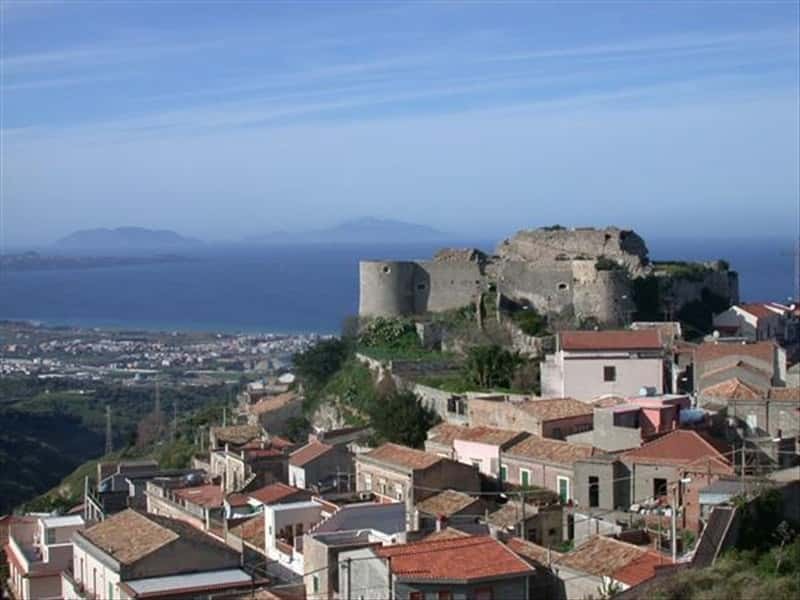 Venetico is a town in the province of Messina, founded during the Late Middle Ages as a fief of the Spadafora family. The off shore waters of the town were probably the scene of the battle of Naulochus in 36b.C., during which Octavian defeated Pompeius. The place name derives from the blue flower of hyacinth. The town is dominated by the imposing XV century castle, damnaged during the terrible earthquake of 1908. The Mother Church (XVI century) preserves a beautiful painting of Madonna del Rosario by Gaspare Camarda (1605), framed by a valuable marble frame by Filippo Tancredi (XVIII century) representing the Fifteen Misteries of the Rosary. In the right transept is the Adoration of the Magi, by Francesco di Bonaiuti (1532). The fountain in Piazza della Chiesa Madre, was put up by the Spadaforas. It bears the family coats of arms. This town web page has been visited 19,259 times.